The benefits of cloud networking in the data centre come down to three key values: scale, performance and cost. Over the last decade or so, we’ve watched the evolution and maturation of cloud services from a new trend to what is now a household name in some applications, such as compute and storage. Some of the attributes propagating the cloud’s continued adoption include ease of procurement, service transparency, scalability and flexible billing models based not just on capacity, but now on consumption alone. 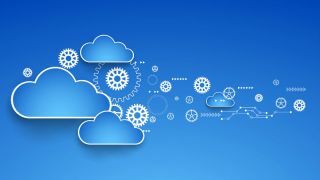 Unfortunately, until recently, the same could not be said for the network infrastructure that enables users to connect to the cloud. The traditional network service model is riddled with challenges related to procurement, infrastructure visibility and scale. The basic ordering and provisioning of these services continue to cause customers headaches. Contract terms are structured to lock customers into fixed terms, oftentimes resulting in stranded capacity as the customers’ needs change or because their peak loads are much higher than their averages. Visibility of the underlying network infrastructure itself is limited — if available at all. For all these reasons, traditional network providers and solutions are poorly equipped to deal with today’s surging demand in capacity and capabilities. Moreover, as the number of devices climbs – according to Cisco’s Visual Networking Index: Forecast and Methodology, 2016–2021, “annual global IP traffic will reach 3.3 ZB (ZB; 1000 Exabytes [EB]) or 278 EB per month by 2021” – the need for burstable, reliable and controlled network solutions that can scale based on end users’ needs will only grow. To accommodate this shift, fixed costs and rigid contractual terms will be replaced with flexible, pay-per-use models, and data transparency will be crucial for better business planning. In short, network services will finally become as consumable as cloud compute and storage services. This year, we’ve already seen the move away from the traditional network model to one characterised by total automation. This will completely revolutionise the way organisations provision capacity, similar to the game-changing proliferation of cloud computing in the late 2000s. When considering deployment of a cloud networking solution, one may assume it makes the most sense to leverage an existing provider network. These legacy networks are often based on two- or three- generation-old technologies and lack the cutting-edge switching and routing technologies necessary to deliver full automation. In addition, these antiquated platforms often lack a robust API, which allows customers to directly interface with the underlying network infrastructure and control their networks programmatically. In order to update the networks to meet growing requirements, enormous capital investment and a considerable amount of coordination would be necessary, not to mention the high risk of downtime. The SDN market is growing and according to Global Market Insights, Inc., is predicted to reach $88 billion by 2024. This growth is an indicator of technologies such as Ethernet Virtual Private Network (EVPN) and Virtual Extensible LAN (VXLAN) to deploy virtual overlay networks in which companies can link to and manage their networks based on their requirements. This creates a new, truly automated “cloud” network that allows users to secure connectivity with the simple click of a button. Cloud networking platform users can simply log into their portals, provision a circuit and have Letters of Authorisation (LOAs) in as little as 15 seconds. Ports can be turned-up as quickly as the data centre can establish a cross connect. No longer do you have to wait for the network service provider to assign a project manager, engineer the circuit and dispatch a technician. Cloud networking also enables users to turn up and down virtual connections anywhere along the provider’s network fabric, while bypassing the public internet for greater security and better performance. Capacity needs have grown exponentially, from 100 megabit circuits 20 years ago to 100 gigabit circuits today. However, the underlying business requirement to connect point A to point B efficiently, securely and cost-effectively remains the same. Unlike rigid legacy networks, scalability, nimbleness and stability is at the cornerstone of this network architecture. Cloud networking enables users to bill to their average, but burst to their peak, while sourcing bandwidth on-demand, regardless of the quantities requested by the customer. Unlike most SD-WAN solutions which rely on tunneling traffic across the public internet, cloud networking platforms are built upon their own networking infrastructure, eliminating latency issues by creating diverse paths over which traffic can traverse efficiently and reliably. Based on route diversity and redundant paths, cloud networking solutions allow for instant rerouting on private networks, ensuring low-latency, secure connectivity and optimal performance. Building, maintaining and managing a physical infrastructure requires tremendous expertise, time and capital. With cloud networking solutions, users can focus on their core business, leaving the management to the provider. However, many can still have full visibility and control over the network traffic and services via an Advanced Programming Interface (API). Like many cloud solutions, this network innovation also allows users to network at scale, sourcing even terabit-scale capacity on-demand, while paying only for what is used on a month-to-month basis. The traditional network service model is long overdue for some serious innovation. As an enabler of this new frontier of innovation, cloud networking platforms are introducing to the market a radically better way to procure, consume and utilise networking connectivity services by combining state-of-the-art terabit-scale infrastructure with scalable software and automation frameworks. With an entirely automated platform that instantaneously delivers direct, secure and private connectivity, these network solutions are truly revolutionising the way companies approach network services and connectivity solutions.